Long Term Leasing Houseboat Rentals - can you rent house boats yearly? Any long-term leasing houseboat rentals or lease available? We're looking at long term houseboat rentals or leasing, and wonder if you can rent any house boats for long periods? I wanted to inquire if you knew any places in FL that rented their houseboats long-term (6mo-2yr)? Well Judy, welcome to the houseboat forums, and your question about long term houseboat renting. I personally always thought that this would be a new market opportunity for houseboat manufacturers. However as it stands now, I don't know of any long-term houseboat leasing or rental availabilities. Possibly you're question will peak the curiosity of some of the larger houseboat rental operations out there to consider this as a new business model. I am sure that you are not alone, as I have previously received mail asking about rentals for 1 or 2 years at a time. Possibly some of our readers will be able to make some recommendations or referrals on where to start your search? Lastly, hopefully some of our readers will share and post comments about their long term houseboat rental leasing opportunities or experiences. Feel free to use the "Click here to post comments." link found near the bottom of this page. 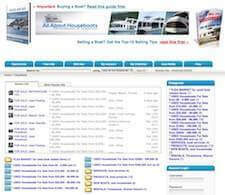 Comments for Long Term Leasing Houseboat Rentals - can you rent house boats yearly? My wife and I are both 71 y/o and retired. We are wanting to lease or long term rent a houseboat any where along the Florida coast. Any takers? I can send pics. Searching to live aboard (35 ft+) houseboat for the winter at least. One small very well trained dog. Living in Sacramento California but willing to travel for the right place. Please contact me on here for a meet and greet. Thanks! I'm 73 and would like to rent a houseboat for long term. My partner & I live in Clearwater Fl. Want to rent a house boat for 1 year. Experienced boater. I am curious whether a person can rent a houseboat on Minnesota waters year round. It seems like a good alternative to apartment living. Are some houseboats handicap accessible? I am in a wheelchair at present but hope to walk before too long. There would be 3 of us possibly 4. Please let me know and thanks for your time and consideration. Have a beautiful 20 acre farm in West Virginia.. great colonial home.. 7 stall barn.. close to town.. ponds/fountain.. great hunting.. rented condos .. looking for a change in venue..
Houseboat rental from Hilton Head to Wrightsville Beach... my home immaculate will take care of same. I'm a 60 yr old disabled special forces vet, married 30 plus years, and looking for long term affordable rental to fully retire with my wife. I also am very interested in a long term houseboat rental. I hope someone will have information on this. Thank you for your response, and also the person who asked the question. Has anyone heard of "boat-sitting"? Or anyone who has a need? Any houseboat rental options available? Having owned 2 houseboats prior to moving to Fl. I too would like to rent a houseboat here as a permanent residence. Any options available? I too am looking for long term rental of a houseboat. I am 67 yrs. old and have owned two prior to moving to Fl. Any available? Looking to rent a long term houseboat, 64 yrs old, one dog, I feel for a more relaxing living experience. I am looking to rent/lease long term floating home or houseboat anywhere from Pensacola, FL to Panama city, FL. I don't care if it's a Lake, Bay, just on water. Does anyone have any clue how to research this? Does anyone have a floating home they'd like to lease. It says no links, addresses or phone nos, so how does one get the information needed if someone can provide it? I rented a houseboat on in jax for 500 a month on the inter-coastal. But you have to meet someone who has a houseboat, that they are not using. That's how I did it. I am interested in purchasing a houseboat, but would like to rent for 1 year to see if it will work for me. I'm retired and am willing to move anywhere from Key West to Hilton Head, or the carribean. I am looking for 6/1/16 - 5/31/17. At least 35 ft.
Key West houseboat rental long term PLEASE! I am seriously looking for a long term rental, at least 1year, on a "floating home" in Key West, Fla. I own a home now on Mobile Bay and am interested in moving to Key West. I am financially secure, retired and have lived full time on a 60' houseboat for 1 year and an 80' yacht for 1 year. I am interested in a community/neighborhood marina! Please let me find my live aboard dream!! 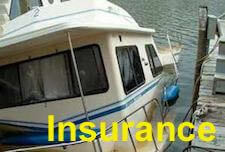 I am interested in renting a houseboat or any other boat 34 ft or more. I lived on a Sea Ray cruiser for 4 months in Ashley marina and loved it. When they sold the boat and I cried. I took care of dock fees and kept the boat clean. This is on my bucket list. Any marina in Charleston or Ashley River would be great. I would like a long term lease from 6 months till forever!! Please, if anybody knows of one do let me know. Right now I live in Summervile. Would so like to rent or long term lease a houseboat, would rather have one that is docked into its own slot. Would love in the Jacksonville/Wilmington, NC. We are two adults and would like something really cheap. 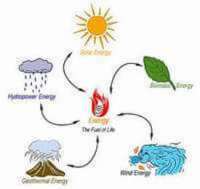 We will give TLC, can do any repairs, as long has power, bathroom, water, and floats will work with anything else. Although I have only limited experience renting my lake cottage in Maine it always made more sense to me to find a longer term tenant where I didn't have to spend time managing a short term rental. With the long term renting/leasing I avoided cleaning between short term rentals, advertising, light maintenance the tenant did, etc. Net revenue was greater with the long term rental/lease and more manageable, especially with the right tenants. Seems this model would work well for houseboats. Retired professionals and also looking for a long term houseboat rental. Currently in SC and thinking further south or west. No pets, just golf and travel. Hi, I am a single lady whose dream is to live in a houseboat. 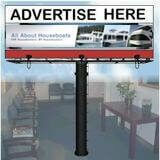 I have been looking for apartments in the Cocoa Beach area but would love to rent a houseboat instead. Please email me if anyone knows of someone renting a houseboat out. I only need the basics also. Thanks and hello to all the fellow boat lovers out there! Jacksonville, FL area. Empty nest couple with old cat that eats and sleeps; moving on job transfer to FL. Retirement dream to live aboard, but want to rent while padding the downpayment fund until retirement. Anything available? Tampa area, long term 1-2 years, sleep 4-6. I would live on full time. We're thinking about buying one, but we rent first to see if we like it. That's why we should have a longterm rentals available and that would be great! 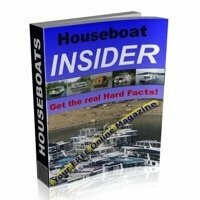 Would love information on your houseboat that you are willing to lease. Please Let me know how to locate you to get information. Are there any houseboats in Sacramento California that anyone wants to rent permanently? My name is Allen, and I have been in the military for the last eight years. Now that I am out I am looking for a place somewhere around Key West or Key Largo to settle down. I'm looking for a houseboat for a long-term rental, I don't need anything with fancy stuff, just the necessities. Hello! :)) My daughter and I are looking for a long term houseboat rental in the Sarasota/Bradenton area of Florida. Anyone have any ideas how I can get started, where to look, or any other help? I too am looking in the SW Florida area for a long term houseboat rental to share with my younger son. What a great experience for him & a dream come true for me. It is extremely difficult to find any information. I am wanting to rent a houseboat long term. Do you know of anyone who rents them? Or do you just have to luck out to find one for long term rent. I used to race sailboats and love sleeping on the water. Live in Myrtle Beach but will relocate to live on the water in a houseboat. I am also looking to rent a houseboat for long term. I am a single, professional, female with a small dog (9lb Sheltie) who would like to live waterside opposed to a apartment or rental home. Looking for something at least 1 year and possible more. I long to sleep under the stars & be rocked to sleep by the ocean. I crave the serenity & solitude that a houseboat can provide. Right now I'm looking to rent anywhere from 6 months to a year. I'm open to nearly any region, maybe even a lake. What's most important is that I find a spot where I can relax & focus on my endeavors. My only requirements are that it be docked, connected & have a parking space nearby for my car. I'm a youngish adult, has medium-sized thoroughly trained mutt (he's a people pleaser), a steady income, respectful, and a low-key responsible person. I am looking for long term houseboat rental in the Louisiana area. For one person. I will monitor this site for anyone interested. We are a couple with 2 dogs who are looking to rent a houseboat in the Huntsville/Athens Ala area for 6 months. Anyone know anyone? We are thinking of buying, but definitely want to try it out first. Docked somewhere please. Why in the world would a houseboat owner who might be having a difficult time selling not consider leasing on a long term basis, at least money could be made until a sale happens. In Ocean City, Maryland, there are very few apartments here, so a houseboat would be a wonderful option for me as a single person. Looking to rent a houseboat in the Lower Florida Keys for 3-6 months. Veterans Affairs employee being transferred to VA in Key West. I have two house trained dogs and can furnish excellent references! I would also love to lease or rent a houseboat, potentially lease to own! If I was rich I would buy a marina and we could all rent houseboats from me! 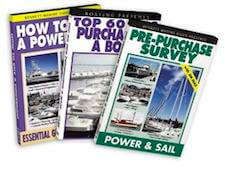 Can anyone tell me where I can find a list of Just marinas that allow living on your houseboat year round? So many lakes are recreational lakes only and do not allow living year round and I can't seem to find the list of just lakes that allow year round houseboat living. Any long term houseboat rentals? I am moving to the Jacksonville, FL area and would very much like to rent a houseboat for a year or two. Single no children or pets. If anyone hears of a 40+ ft houseboat for rent please let me know. I have until June 2013. Would also consider being a roommate to someone who owns a boat. Will check this site from time to time so leave message here for garden girl. Thanks for hearing me, GardenGirl. Steven. I presently live in Jacksonville, NC and exploring the idea of liveabord for a while. A dream for a long time. I found this site just browsing so I don't know how to get in touch. I would love some pics and info on location in Wilmington. I will check this site again to see if you respond. Thanks. I am also looking for a boat to live on for at least a year. I have my son every other weekend and it would be great to wake up on the lake. I am a single middle aged living in South Florida & would love to live in Wilmington on a houseboat. I look forward to seeing pics. This would be an answer to my prayers. I too am looking for a long term (1-2 years) houseboat to rent in the Clearwater, FL area. I am the mother of 2 homeschooled children who would love the opportunity to provide a unique learning/live experience opportunity for them. Please let me know if anyone has any leads. I live in Oregon. I would love the opportunity to rent a house boat for a year. Give my children a chance to experience something different. What a market this would be. Can anyone let me know if they have a houseboat for rental in either the oxfordshire area or on the thames. Houseboat rental for 2 adults, 1 children 2 dogs and 2 cats, as we are awaiting our dream houseboat on the Gulf of Mexico (Clearwater area). Houseboat Rental - any long term rentals? I too, would love to find a houseboat for long term rental, to call home, on the crystal coast of NC...single, no kids or pets. Any leads out there? Looking at the possibility to lease a small houseboat for a Ohio / Missippippi River Trip maybe 30 to 60 days. I am also looking for a houseboat for long term lease. I am a retired Coastie with custody of my two children. I am trying to give them as many life experiences as possible before they leave home. If anyone finds a company, marina or private individual near the Pensacola to Fort Walton Beach, Florida area, I hope they will post or contact all of us who are interested. House boat to live on. I am a mother of 7 and want to rent a house boat to live in but I suppose it's only for the movies. Oh well hopefully one day someone out there will rent for long-term liveaboards. My daughter and I would like to lease a houseboat for a year or 2 somewhere in the Charleston SC area. We are seriously considering moving to the area sometime late next summer or early fall and would love to try living on a houseboat. If anyone knows of anyway to go about this, I hope you will let us know. I am on The Treasure Coast on the East Coast of Florida and I am diligently looking for a houseboat lease as well. Single non-smoker wanting to try it out before I buy one. We are considering long term lease of a houseboat and go about living aboard but would like to try that for a year or so before jumping off the dock and landing on the deck. it would be great to lease a house boat for a while and help us to come to that decision - leap or no leap. Any thought as to where you can lease long term? I would love to find some houseboat rentals for 6 months-1 year or so. I would like to know first-hand what it would be like as an option to land living but would like to live it first. I would think it would be a lucrative adventure for a houseboat owner and open up a new living experience. I have always been interested in renting a houseboat anywhere on the East coast for a year or two. I hope maybe a private owner or real estate office could respond to this request with some information. I believe you could jump into a very lucrative market! There must be a market for long-term houseboat rentals? I too, have searched in vain for a long-term houseboat rental! I have vacationed on houseboats in the past and think I would really enjoy living on one for a while. I live/work (teacher)in Orlando but am originally from New England and my kids are grown so...I am willing to relocate virtually anywhere along the eastern seaboard! Post a comment if you have had any luck or ideas how to locate such a rental! I have also attempted to locate and/or find contacts to rent a houseboat to live in a year or two versus an apartment/condo. Guess only in the movies, huh?!! Too bad. I am also interested in long term houseboat rental. Anywhere in the continental US; ocean, bay, lake, river - whatever. Have lived full time in an RV, so familiar with systems (very similar). If any private owners are interested please leave a message and contact info on this page. We are also interested in renting a houseboat long term. Prefer in Florida. Would like to just keep it tied to the dock and live in it for 1-2 years. Does anyone know any that would be available? Well, if you guys do find out information about long term rentals please comment it. My husband and I are interested in living on a houseboat in Charleston, SC. We don't know too much about houseboats and would like to try it out before we commit to a buy. If you have any advice please let us know! I am looking to stay on a houseboat year around. I am unfortunately selling my 34 foot Luhrs back in New Jersey. I am just now just interested in renting. I've spent many days maybe hours many nights looking for little cottages little apartments. Just for myself and my two little Yorkies and it has been very overwhelming trying to find the perfect little spot. If anybody has any ideas of where you can get a houseboat on the water long-term Southern Florida the Gulf side. Thank you very much Danielle from Crystal River Florida south on the West Coast preferably. Thank you very much the sooner the better I just want to get cozy.